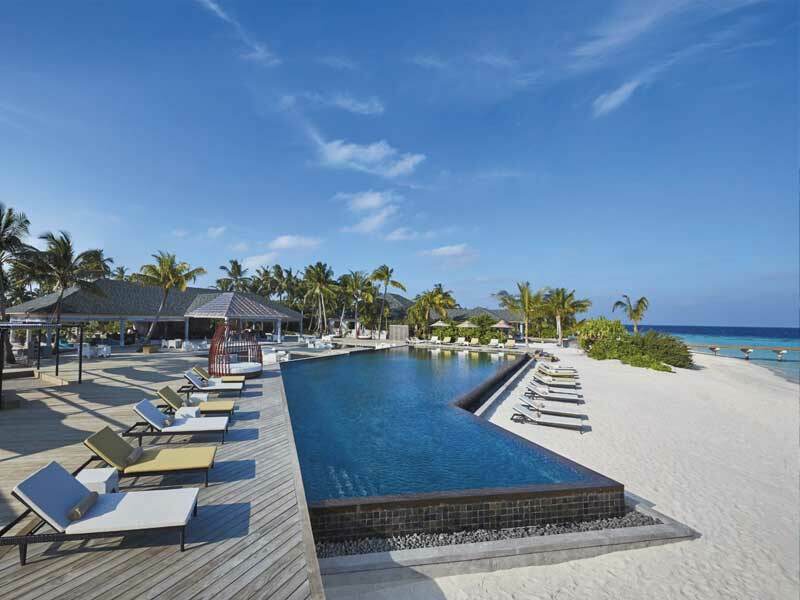 On a secluded island scattered with exotic wonders you’ll find the opulent luxury of Amari Havodda Maldives. 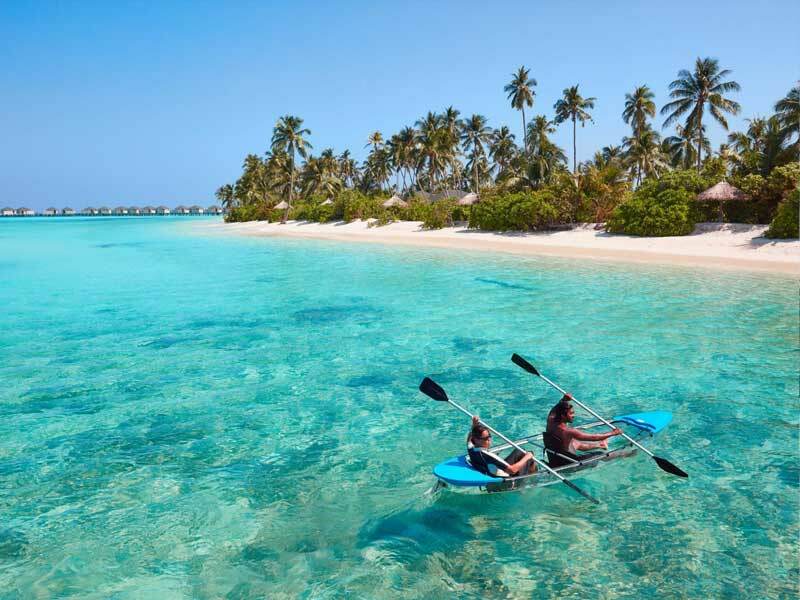 Hidden away amongst untouched beauty, you’ll have the leisure to discover all the delights of powder white sand, turquoise waters fringed with coral reefs and warm Maldivian hospitality. Disconnect from reality and find yourself in your own private paradise! 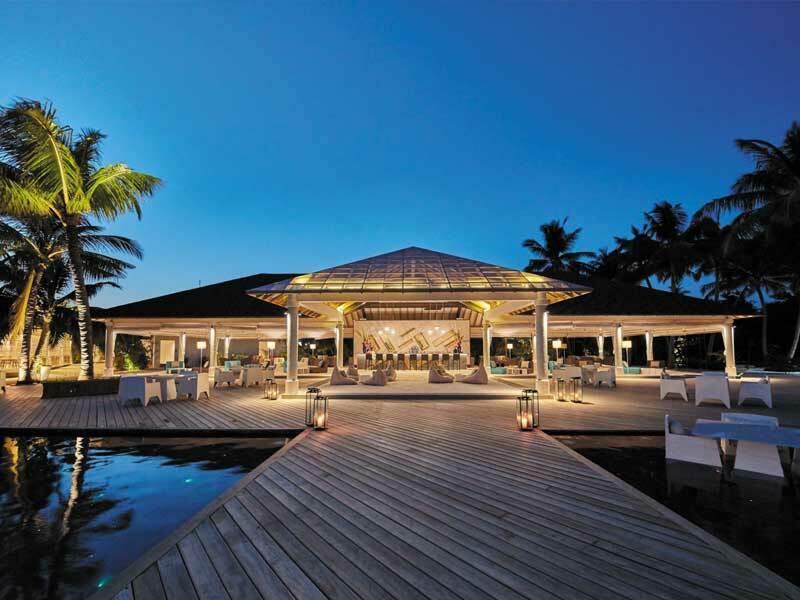 Dreaming of 5-star luxury on an exotic, secluded island? Amari Havodda Maldives makes those dreams a reality! 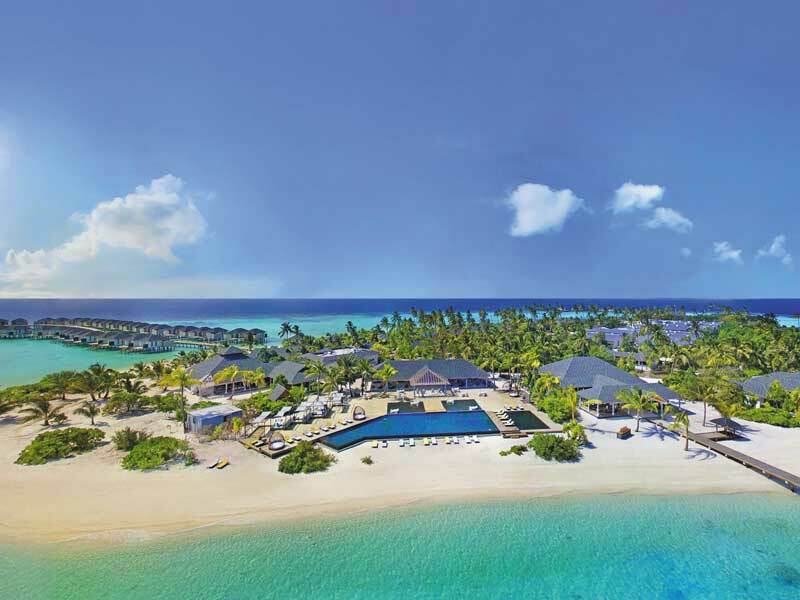 With 120 beach and overwater villas inspired by traditional Maldivian architecture and finished in an elegant, yet warm and natural style, you’ll revel in the exclusivity. 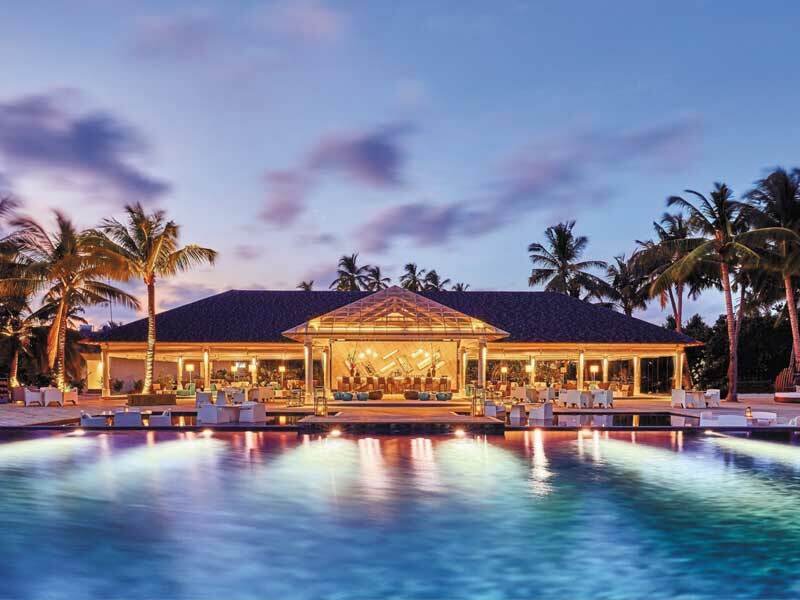 Think natural timber flooring and authentic palm-thatched roofs, alongside opulent furnishings and sophisticated technology. 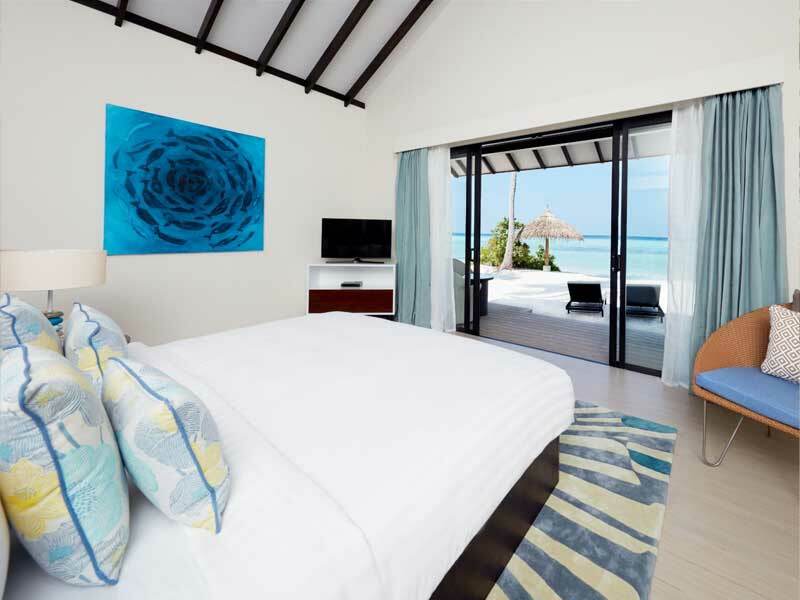 Radiating grace and luxury, Amari Havodda Maldives has all the comforts and modern connections you could wish for plus dazzling views over the Indian Ocean. Dine in style at one of the 5 restaurants and bars. 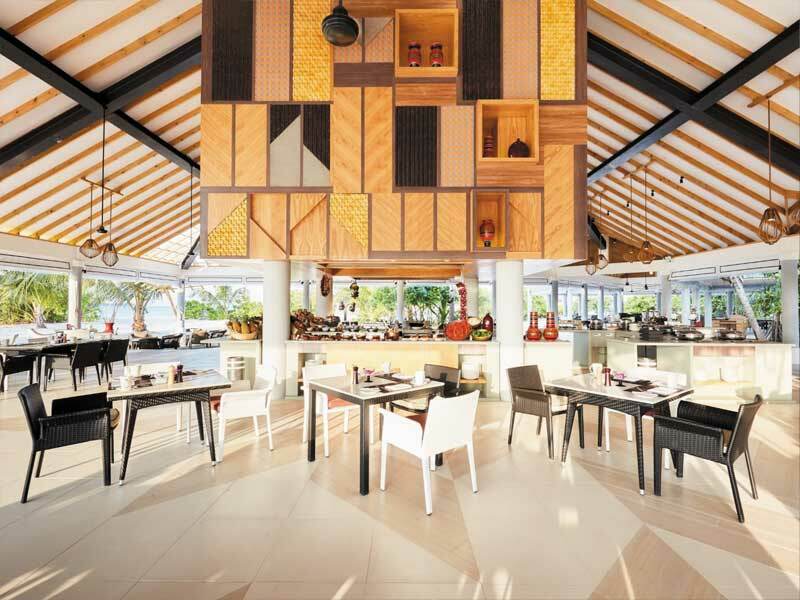 Choose between all-day Asian and international fare at Amaya Food Gallery, Japanese barbecue at Ember, or the laidback beachy delights of Iru Bar. You’re spoilt for choice here, whether you want to mingle with other guests or share a special moment in the privacy of your villa or a sunny stretch of beach. While you’re in paradise, you may as well make the most of this naturally beautiful playground on both land and sea. Stretch out on pristine white sand, discover the joy of paddling atop the turquoise lagoon, or slip under the waves to explore breathtaking coral reefs in intricate formations. Encounter big fish up close or take a day trip to seek out the undisturbed beauty of one of the many nearby uninhabited islands. Try your hand at water sports, from Jet Ski excursions to banana boat rides, or take an hour or three to indulge at Breeze Spa. 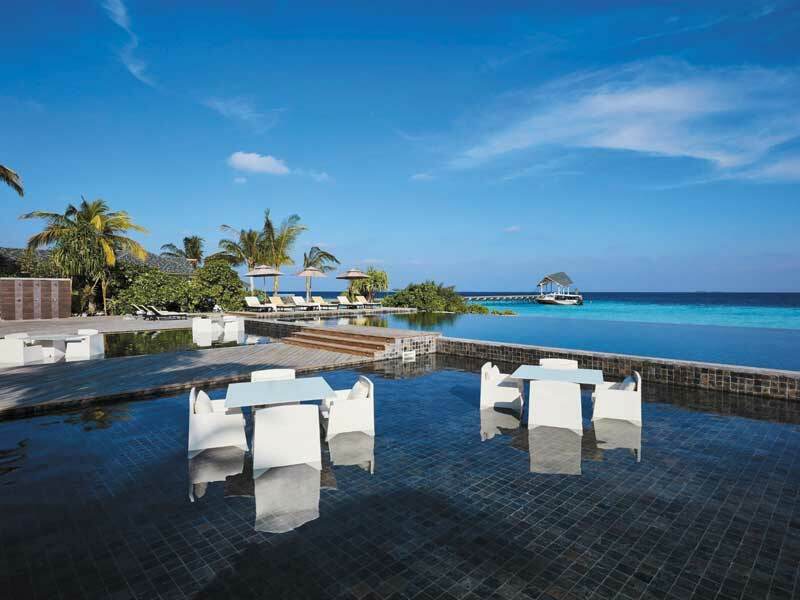 Anything is possible at Amari Havodda Maldives. Here, natural simplicity blends seamlessly with exotic luxury to provide the perfect dream holiday experience—you can make the most of every opportunity to play, refresh, or explore! 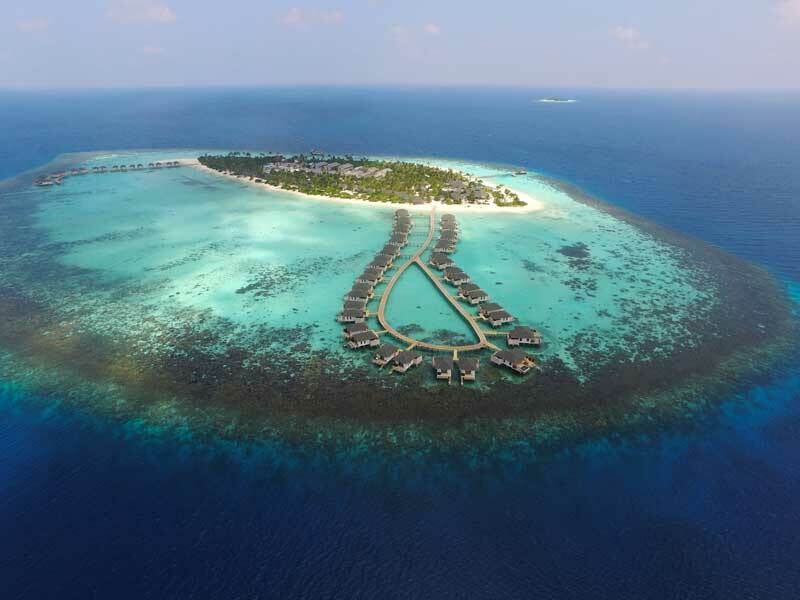 Why Go To Amari Havodda Maldives? Whether romance, fun, or family time is on the agenda, you’ll find everything at your fingertips to make it your best holiday yet! The Maldives has long been a bucket list destination imbued with golden sunshine, powder white sand, and water in every shade of blue. 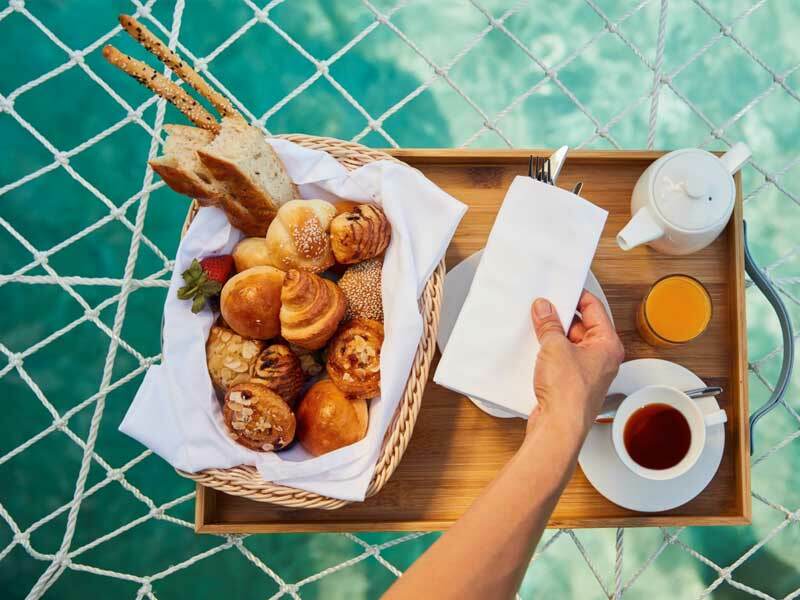 Cap it all of that off at Amari Havodda Maldives by adding in immaculate service, multiple dining options and enough activities to keep even the most adventurous adrenaline junkies on their toes. What more could you want? At a grand 95sq. 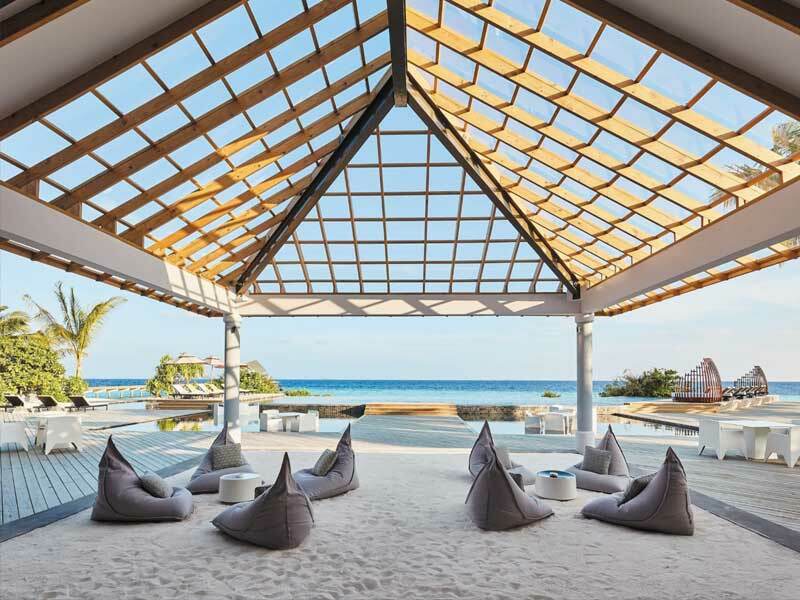 metres, your Standard Beach Villa oozes extravagance. Laze on the oversized daybed on your private terrace as you take in the lush flora and imposing ocean views surrounding you. With direct beach access, your villa features King bedding, air-conditioning, a working desk, tea and coffee making facilities, minibar, in-room dining and Wi-Fi. Enjoy entertainment facilities including 40” TV, IPTV, a multimedia hub and DVD player. Feel like a VIP with turn-down service, wake-up service and luxurious spa treatments. Cosy up in your robes and slippers after relaxing in your deep-soaking tub or rain shower. Accommodating up to 3 guests, your Standard Beach Villa impresses all! Cherish unforgettable holiday moments from your Sunset Beach Villa. Boasting a generous 95sq. metres, this private haven features a secluded balcony fit with sunlounges overlooking captivating sunset vistas and welcoming the rejuvenating sea breeze to your doorstep. Accommodating a maximum of 3 guests, your villa flaunts a plush King bed in the master bedroom, complimentary Wi-Fi, climate-controlled air-conditioning, a working desk, minibar, tea and coffee making facilities, LED TV, cosy bathrobes and a host of other amenities to enhance your stay! 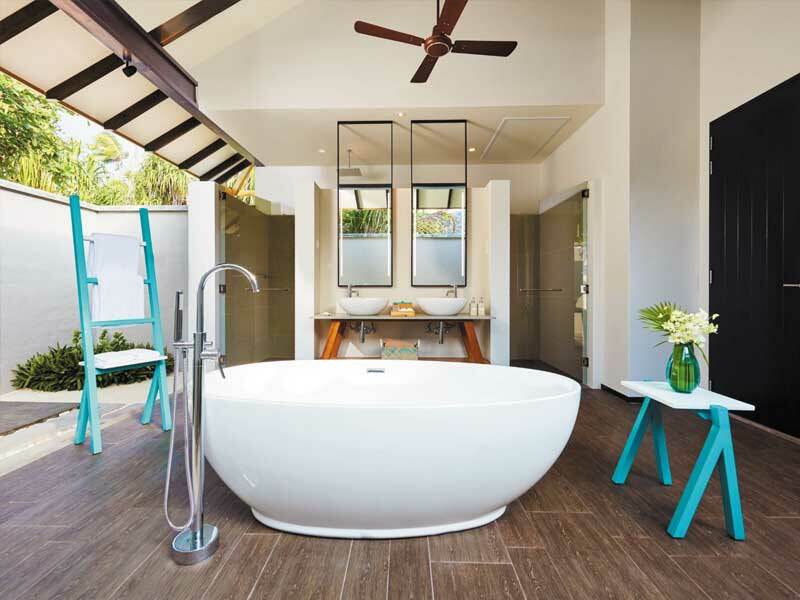 Live like exotic kings and queens in your covered open-air bathroom, separate bathtub and rain shower. Luxury is defined by the Sunset Beach Villa. You’ll find this exclusive slice of paradise on the western edge of Gaafu Dhaalu atoll, 400 km south of the Maldivian capital of Malé. Surrounded by the sapphire expanse of the Indian Ocean, a 55-minute domestic flight followed by a 10-minute speedboat transfer from Kaadedhdoo Airport will get you to lush tropical greenery and white sandy beaches under endless sunny skies. All of your airport and island transfers are arranged and facilitated with the utmost care to ensure your holiday is smooth and stress-free from beginning to end! There’s plenty to explore, discover and experience on and around the world’s second-largest atoll. Take part in a Jet Ski excursion to seek out dolphins or hidden lagoons; find your feet Stand Up Paddle boarding, windsurfing, or water skiing; or join the fun with a tube or banana boat ride. If the mysteries beneath the waves spark your interest, see the team at Euro Divers for PADI-certified courses and guided adventures into the deeps (there’s both short sessions or multi-day courses available!). From drift or night diving through spectacular coral formations, encounters with sharks, barracuda and sailfish, to specialty underwater photography sessions, your excursion below the waves will not disappoint! The reefs and conditions of Gaafu Dhaalu are also perfect for snorkeling. 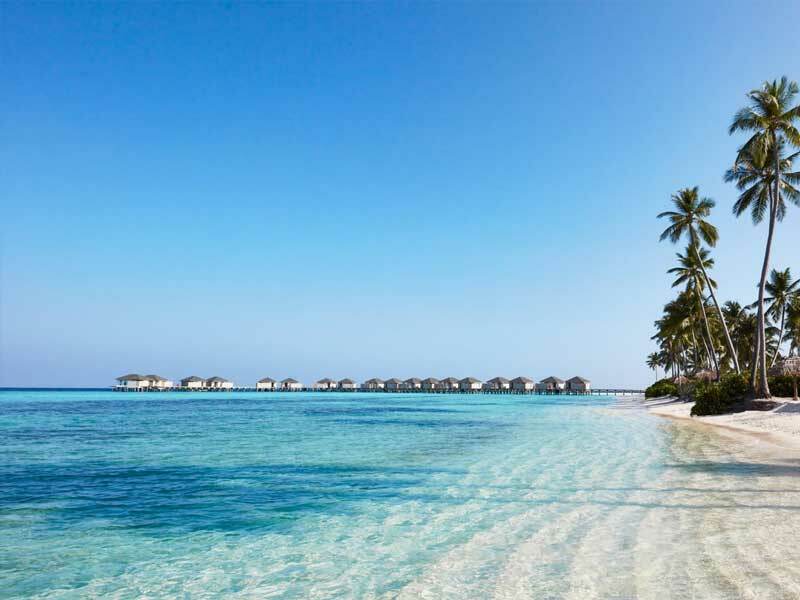 Swap out your fins and uncover the magic of this Maldivian paradise with a stroll over powder white sand or through the lush tropical gardens. Take a daytrip out to one of the gorgeous uninhabited islands close by or browse the library and gift shop. 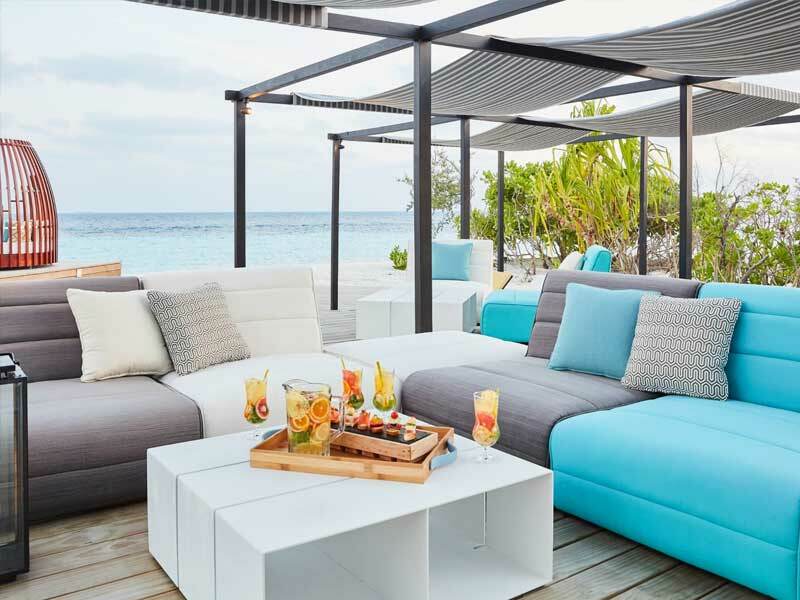 Share the sunset with a loved one, entertain on your private deck, or linger over cocktails and tasty snacks poolside at Thari Bar. 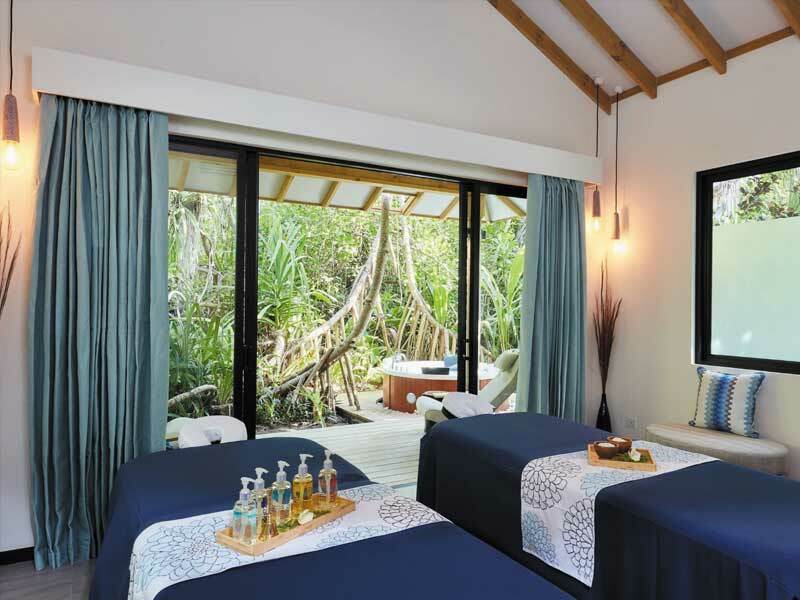 Luxurious Breeze Spa offers a haven for the tired mind, body and soul, with enchanting surrounds, soothing massage, and hair and nail treatments to ensure you return from your holiday looking and feeling your very best. 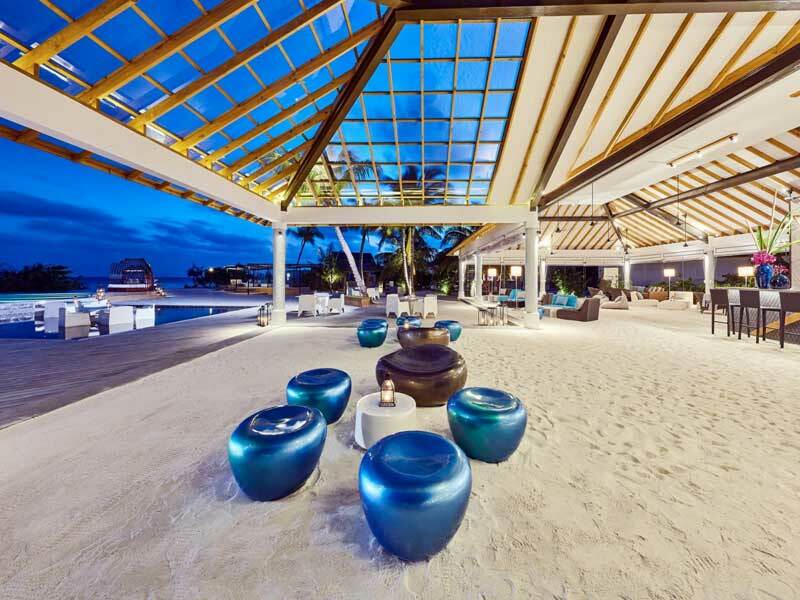 Whether you wish to unwind, explore or play, there’s no shortage of things to do at Amari Havodda Maldives. The most incredible place you can go! This hotel has been the best place we’ve ever visited, because of its people. The staff are one of the nicest, most caring people you will see! They talk with you like a friend, not just like a client, they pamper and treat you as if you are the only person on the island.